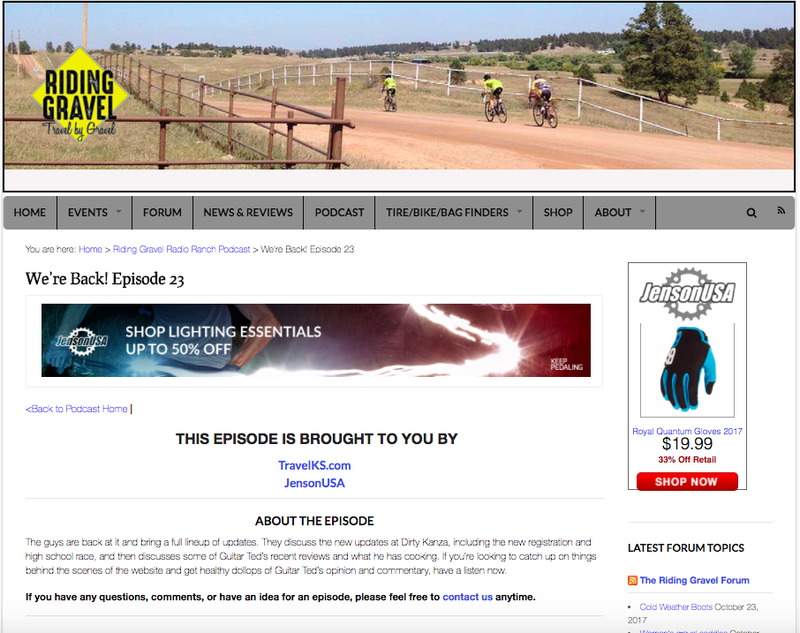 Riding Gravel Podcast Recommends "Gravel Cycling"
Guitar Ted and Ben Welnek discussed Gravel Cycling on its newest episode (Episode 23) and recommend the book as a must-have reference for gravel riding and bikepacking. Many thanks! Have a listen here.